The Artekit AK-BB-POWER board is a versatile, low-cost, two rails (3.3V/5V 800mA) breadboard power supply. 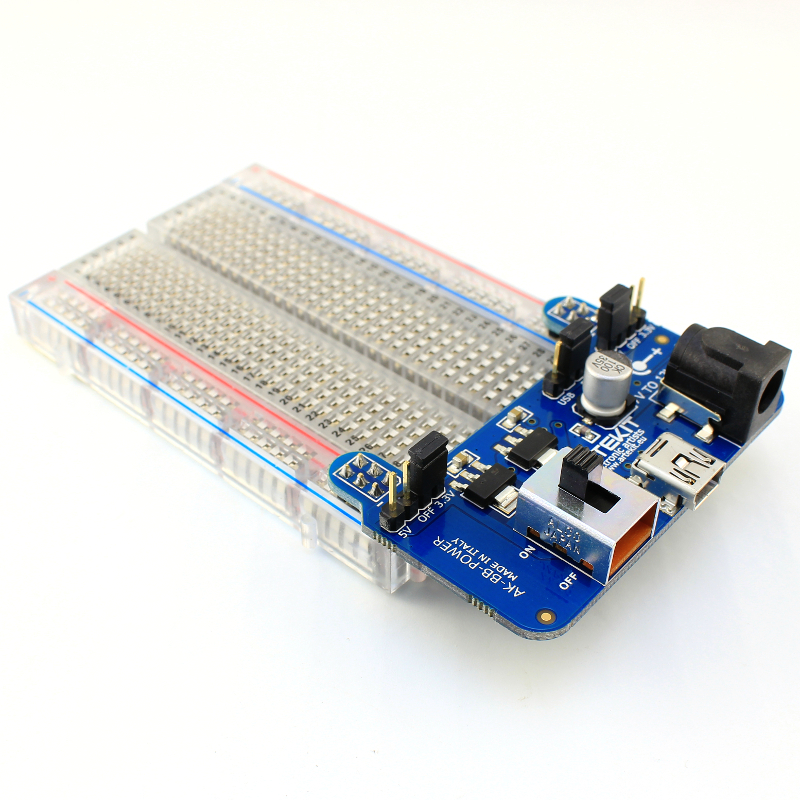 The AK-BB-POWER board is a breadboard-friendly power supply with two independent power rails. 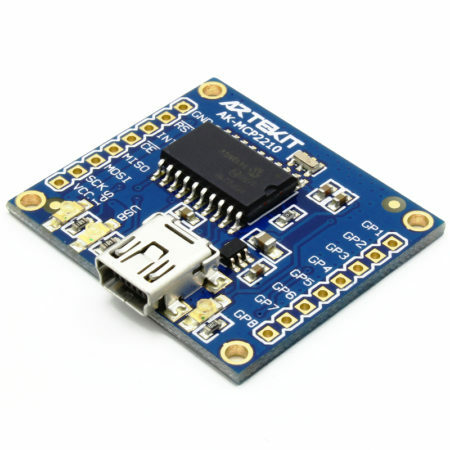 The board can be plugged directly on top of the power buses of a breadboard. 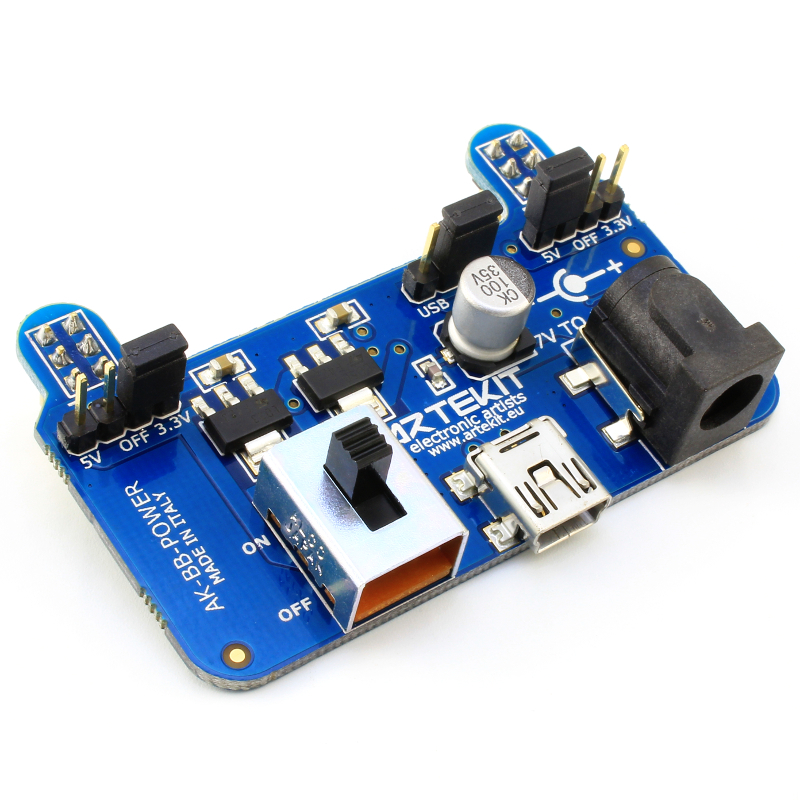 Each rail on the board is independent and can be set to deliver 3.3V or 5V, or nothing (shut down mode), selectable by a jumper. 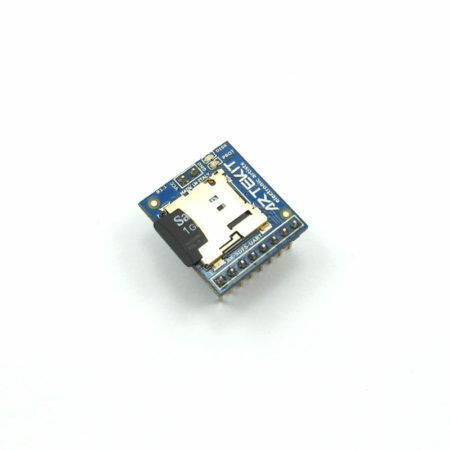 The board can be powered from USB (mini B) or through a 2.1mm DC jack. 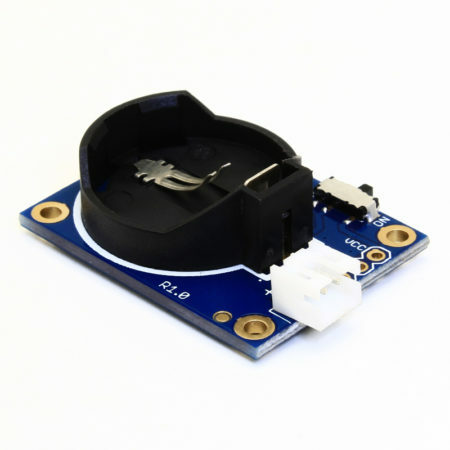 The AK-BB-POWER can source 3.3V and/or 5V @ 800mA when powered through the DC jack, or 500mA when connected through USB. The entire circuit can be shut down with the ON/OFF switch. A green LED signals the power status. 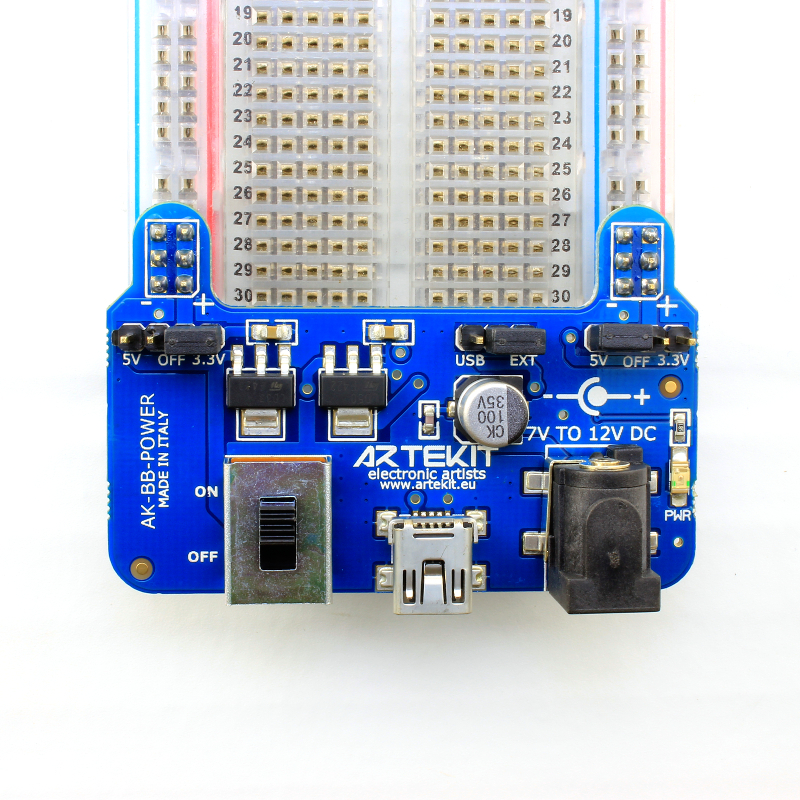 The board was designed with a shape that prevents from covering part of the breadboard when attached to the power buses. 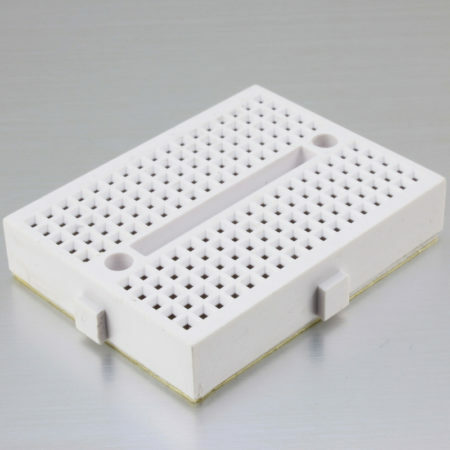 The three rows of two 0.1″ (2.54mm) pins for each rail ensures the board stays steady on the breadboard. 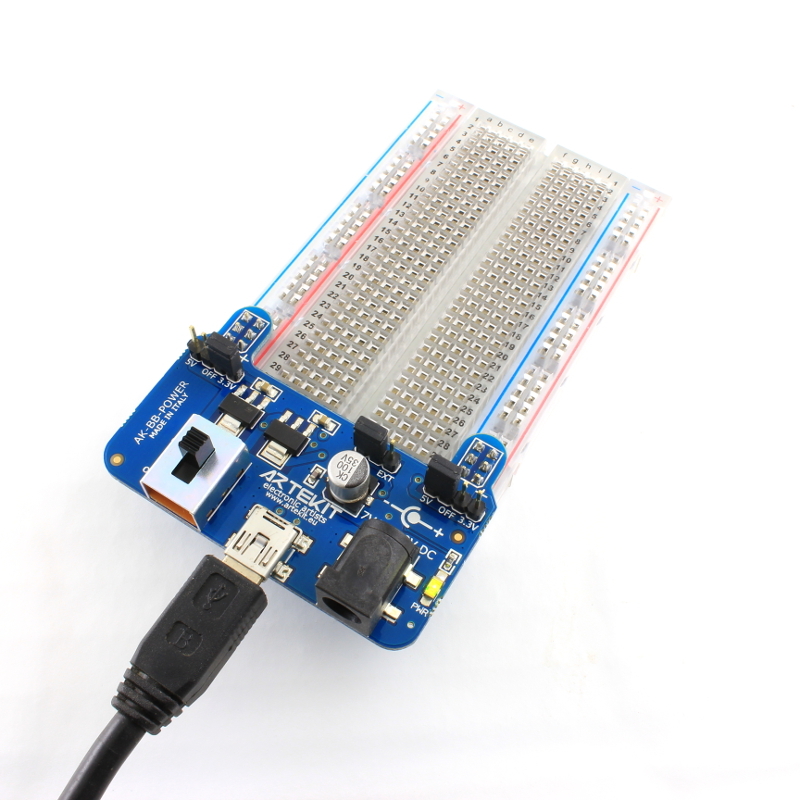 The board comes as shown in the picture, fully mounted and tested. Nice design, I like it!